North State Audio Visual carries one of the premium Subwoofers in the market. The 4-PRO8001 is a reliable subwoofer for heavy-duty sounds and strong bass rhythm. 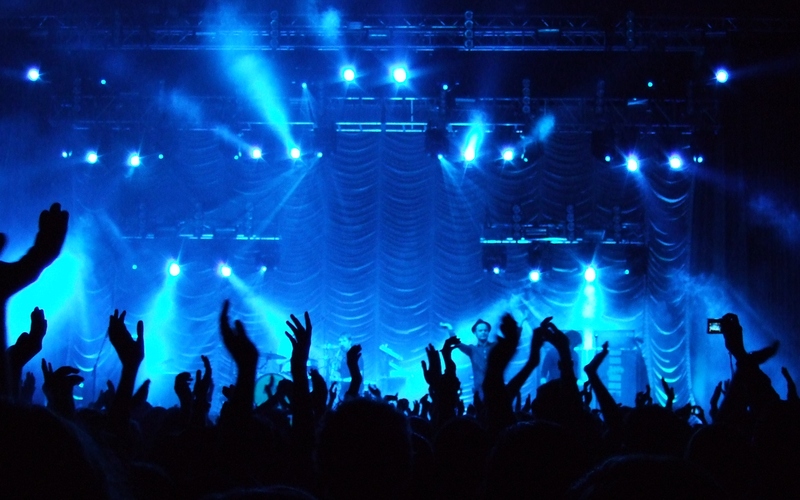 It is one of the premium speakers for concerts and other live events. It mixes an 800 W monolithic amplifier with an 18 inch subwoofer. Not only that, but it also adds to the system headroom as well. When you need a strong output for your bass, then go for this beauty of a loudspeaker. The professional audio will be sure to blow the audience away. The 4-PRO8001 has an effective processor with varying capabilities for professional audio production. It has a 40Hz-Xover point crossover frequency, along with a fast limiter. Its high-pass output goes from 80 to 100 to 120Hz. The input area carries a Stereo c. Jack/XLR input connector, as well as 0 dBu input sensitivity. It has a maximum SPL of 133 dB, with its frequency response at 40-Xover point. Its low frequencies are at H/6800 Watt. The amplifier also includes forced cooling, as well as a 4″ voice coil. It has a durable cabinet made out of Baltic Birch, coated with a durable black epoxy. The cabinet also has 2xM10 for kart hardware. 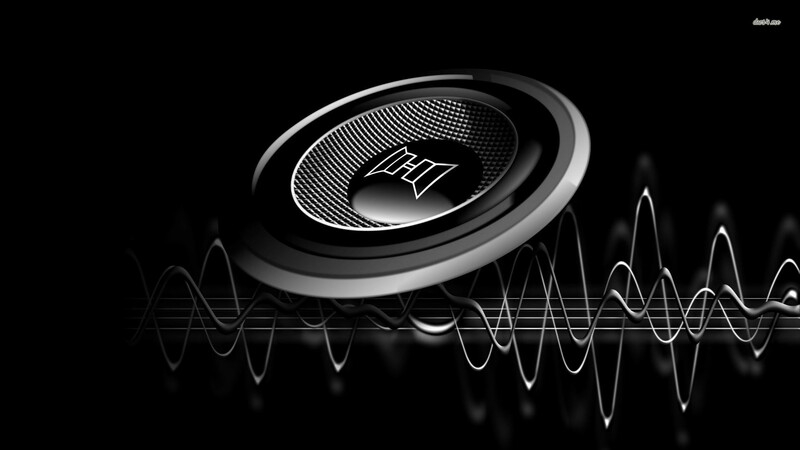 The Subwoofer’s physical dimensions are as follows: a height of 700mm, width of 520mm, and a depth of 700mm. Altogether it weighs at around 54Kg. Its controls include a volume, phase, and high pass output device. Good subwoofers add the needed power to a presentation. Whether it is for concerts, corporate projects, or live parties, the RCF 4-PRO8001 subwoofer contains the proper specifications for any professional audio production. One of the most versatile speakers, it even works better with a second one for surrounding amperage. Our website’s Sound System #5 showcases 2 of the 4-PRO8001s surrounding the stage, as well as 15” Yamaha DXR15 main speakers, and 6 Yamaha DXR12 floor monitors. But that is only one of the many possibilities with this versatile speaker. See here for the full product description of Sound System #5. See here for pricing information. Planning an event is no easy task. Between deciding the food, guests, entertainment, and decor, it can feel like you have no decision making power left when it’s all done. On top of that, if you want to have any sort of lighting, video presentation, or even music, you need to contact completely different vendors…for all of them. However, at Tolar AVL, we can provide you with all of the tech for your event. Unlike competition, we don’t just specialize in audio-visual production or lighting, we specialize in all things tech. Lighting can not only give a great look to your event, it can accomplish so much that you may be able to downsize your decor. Whereas a table linen can only cover so much, the right lighting can span an entire room. 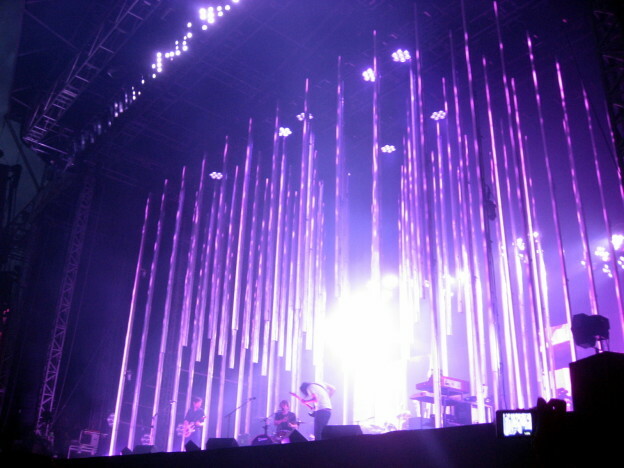 We don’t only do general event lighting, but stage lighting as well. 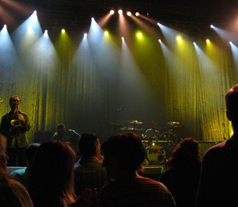 Many indoor stages are already outfitted with a lighting system, but our services are perfect for lighting at outdoor events like open-air plays and concerts, or your beautiful outdoor wedding. Tolar AVL can provide the visual equipment that you need for you event. We have movie screens and projectors ranging in size up to 9‘x12’, perfect for your event indoors or out. These are great for presentations, slideshows (that one might see at a graduation or birthday party), films, and more. We even have Jumbotron rental available. 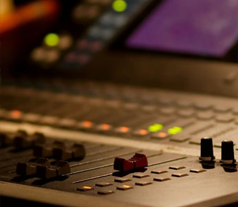 Any audio services that you could need to go along with our video services we’ve got. 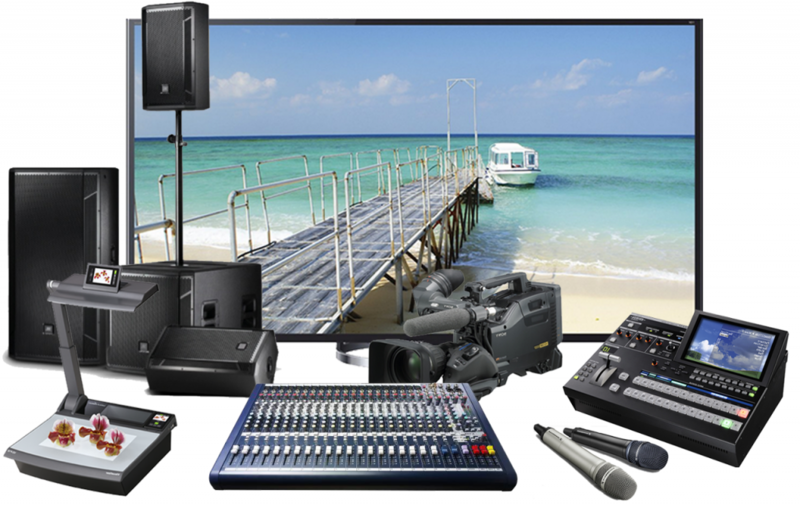 We have the audio equipment to broadcast your movie or presentation as loud as you need. 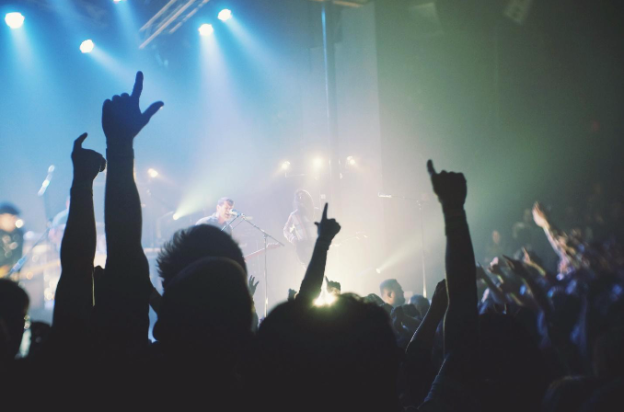 Whether you’re planning a small private event or a community wide festival, we can set you up with the audio visual system that fits your needs. On top of lighting and AV, Tolar AVL also has pipe and drape rental. This essential part of AV is what allows for a “behind the scenes” at your event. 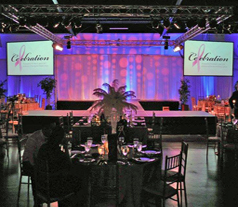 Pipe and drapes hide all of the ugly technological wiring that is crucial to the success of your event. 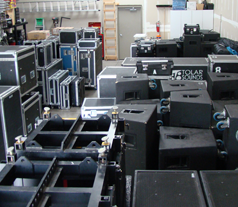 At Tolar AVL, we can be your one stop shop for party tech, so call today to let us know what you need! Whether you’re hosting a professional retreat or managing a corporate training in Sacramento, Chico, Redding or Roseville, the room that you choose will affect the flow and success of the event. When you’re selecting a space for your gathering, consider the size of the room, the layout and the options for incorporating audio visual production equipment. Find out how many people the room holds. Discuss different scenarios with the company from which you will be renting the space. The room will accommodate a different maximum number of participants for a yoga workshop than for an award ceremony. In addition to your guests, take into account the other participants in your event. You may be hiring servers, performers and technicians. Do you need space for a registration table? A larger room can usually be blocked off to create a more intimate environment, but a smaller area can’t be enlarged if the crowd is too big. Consider the layout within the space as well as the location of the room in relation to the other meeting rooms in the building. If you’ll be delivering a loud presentation with booming music, will you interfere with the meeting next door? Perhaps even more importantly, if there is a noisy gathering across the hall, will it hamper your quieter, more formal function? 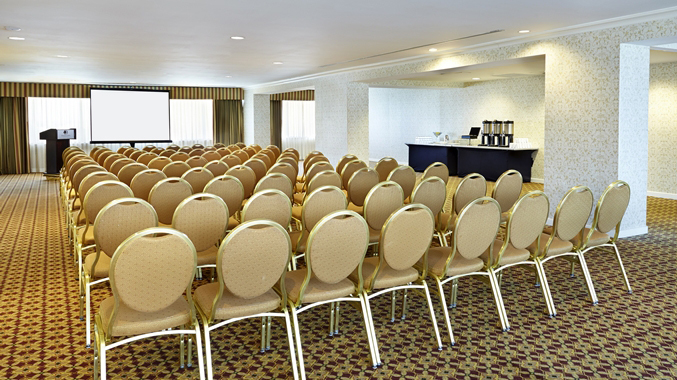 Think about the electronic equipment that you’ll need for your meeting. If you need a projector, make sure that there is room to incorporate it into the seating arrangements so that everyone can see the screen. Check out the location of the stage and the traffic pattern so that guests won’t have to cross over wires. If the room is challenging to find within the building, you might want to rent video monitors or a jumbotron to guide participants to the right place. Many different factors must work together to ensure that you have a productive event. Create a sound foundation by selecting the right space.